From October 14th through October 24th purchase 5 participating General Mills products at Kroger Stores, and receive a coupon for $5 off your next shopping order* (coupon printed at checkout)! We go through Cheerios like nobody’s business so I am excited about the opportunity to stock up AND save some money during the Kroger Buy 5 – Save $5 Event. I plan to stock up on cereals like Cheerios and then use the $5 off coupon to buy milk. The boys will be all set for about a week full of breakfast! These boys can eat. Some of the participating General Mills products like Cheerios, Lucky Charms, Cinnamon Toast Crunch, Pillsbury Toaster Strudel, Betty Crocker Cake and Brownie Mixes, Hamburger Helper, Totino’s Party Pizza, Yoplait** and many more! 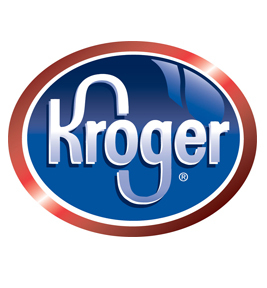 Kroger is offering 1 reader the opportunity to win a $25 Kroger Gift Card (valid at all Kroger Family Stores). Use the Rafflecopter form below to enter. Giveaway Ends 10/14. *Daily Tweets MUST include a link back to this post. Giveaway ends on October 14, 2012. The winner will be chosen using random.org and announced on this post. Entrants must be 18 or older. Winner to be chosen at random. Winner will be notified by email and has 48 hours to respond or a new winner will be chosen. See giveaway rules for more information. « It’s October. Baby 3 is coming soon.